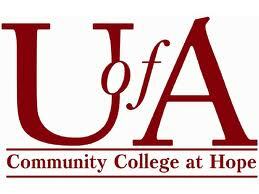 The University of Arkansas Community College at Hope̠s general education curriculum is one through which students obtain the depth and breadth of knowledge and the skills and attitudes required for living and working in the diverse and technological society of the 21st century. The general education curriculum is the primary way students demonstrate their ability to think, reason, compute, communicate, understand, and pursue a life of learning and adaptation. The general education curriculum is required in all Associate degrees and Technical Certificates.